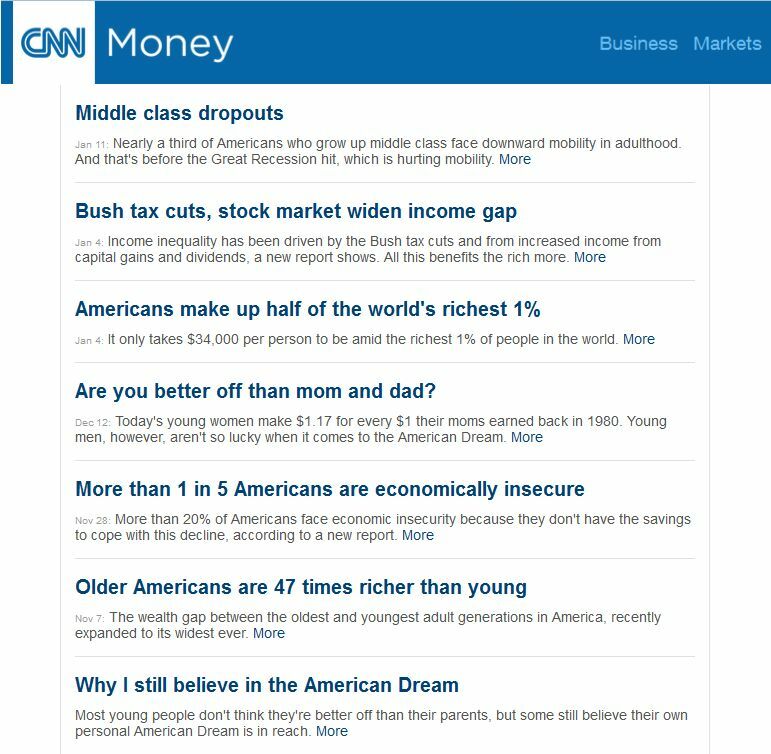 In the second series of activities , students read headlines from CNN about the "New American Dream" in relation to " money" . They learn vocabulary and strategies to write a paragraph by sequencing, developing/reinforcing/rephrasing and contrasting ideas. Students then study the song Where is the Love? by the Black-Eyed Peas, using this worksheet and this interactive activity. Eventually students will write an essay using the documents studied in class to answer the Question "To what extent is the American Dream still alive?"